It is almost a week since LeadsLeap 2.0 beta is released. It has been an exciting week. Basically I have been working almost non-stop, debugging, monitoring and improving the system. Earning wise, we had some hiccups on the 18th. One of you reported it and we fixed it. Tomorrow will be another interesting day, as we will release the Weekly Revenue Share. I hope everything is smooth tomorrow. If you have been sending third party traffic to our ads, check out how much you earn tomorrow. As the name suggest, basically we let members convert their credits into cash. 1. In the future, we may have members who join LeadsLeap, treating it like a PTC site. For this group of people, they may not be interested in advertising. Instead of forcing them to advertise and having our members to view their half-baked ads, we would rather pay them. 2. Some members, especially those with a huge network, have lots of credits everyday, more than enough for their daily ad usage. To make them happy, we pay them. 3. There are many unused credits in the system by members who have gone missing in action. They look like a time bomb. We’ll never know when these people will come back and mess up the credit balance in the system. To prevent unused credits from growing infinitely, we will now set an expiry date to the credits earned. Credits will expire after 6 months since the month they are earned. If you are an active member, it shouldn’t bother you at all. If you are advertising, your credits will soon be used up anyway. If you have a huge downline with tons of overriding credits, you can encash your credits before they expire. There is a minimum requirement of 50 credits before you can encash. Is 50 credits a lot? Not really. If you merely earn 2 credits a day, which only takes you 1-2 minutes, it will take you 25 days to earn 50 credits. I am talking about the bare minimum. You will get a notice in your Daily Email 1 month before any credit expires. That should give you enough time to take action. 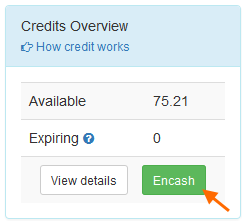 No active member should let the credit expire without at least encashing it. We will be running a Launch Contest from 1st Feb to 29 Feb. A total of $2600 cash prizes to be won! You have slightly more than 1 week to prepare for this contest. Hope to see your name in the Leaderboard! I am extremely happy that finally found what I am looking for! Many thanks to the creator of this amazing project! There is a lot to learn. I look forward to the new system. I’ll be blogging about it! 2.0 is an awesome all-encompassing system that caters to all audiences of advertisers and earners! It’s easy to get 1 referral per day just by relaying this excitement to other people! Well said, Kathleen. I like the term “all encompassing system”. Thank you, Kenneth! This is a great concept that will definitely entice LeadsLeap member to view and/or display ads with the new earning potential. I believe LeadsLeap members will benefit in the increase of traffic in the months ahead! The clickthrough in the network has increased by almost 10 fold from a week ago before leadsleap 2.0. It’s a little unbelievable. I have been aware of LeadsLeap for a while, but LeadsLeap 2.0 has really caught my attention. It is taking the revenue-share advertising model to a new level. Thanks. Revenue sharing is an important component in LeadsLeap 2.0. Besides ads, revenue sharing can also encourage members to check out upline messages. This is important for a leads building system. The new LeadsLeap 2.0 looks really good. I’m happy with the traffic received as a PRO member so far and LeadsLeap 2.0 hasn’t even been launched officially. Kenneth, that’s really a great feature. Looking forward for to the new update. Great free tools and revenue sharing system, perfect for all internet marketers, beginners and advanced. Thanks! This site has helped me to make a good idea on making lead to the websites. Also the site has helped me to make leads to my site. The ideas shared here on the site to make leads are so good. Keep up the good work guys! I love this website! It’s easy to navigate, clean and easy to see what you’re looking for and has generated traffic to my site without much effort. Thank you so much for building this.